Trevor was born in 1933 and worked as an architectural assistant until 1964 when he was able to devote all his time to painting professionally. He paints figure, town and landscape in both watercolour and oil. Trevor has won many awards including the Lord Mayor of London’s Award, Six different awards at the ROI Exhibitions, The Chris Beetles Award at the RWS and the Laing Painting Competition. He exhibits regularly in London, (including the Royal Academy), the provinces and abroad and has had 20 one-man shows. Trevor has published books on art and featured on British and US television. He is a member of the Royal Institute of Oil Painters, Member of the RSMA, Past President of the Wapping Group of Artists and the Chelsea Art Society. His work is in many public and private collections including Guildhall Art Gallery, London; Hertford Museum; Lord Healy; Lord Hanson; Marks & Spencer; National Westminster Bank, National Maritime Museum Falmouth; Esther Rantzen and many more. Emerson H Groom ARE was trained in London and for some years was a freelance commercial artist. In 1945 he was elected an associate of the Royal Society of Painter Etchers. He produced a large number of etchings, many of which were exhibited in London and at the Royal Academy. Pictures were purchased for the permanent collections of provincial galleries. He also painted murals, the most important being in the Church of St Phillip Neri at Uckfield. Emerson Groom has always had a feeling for landscape. He was a member of the Wapping Group of Artists, with whom he exhibited regularly in London. When he moved to Lewes in 1954 he became member of the Brighton Art Club. Aubrey Sykes was the President of the Pastel Society between 1965 and 1981 and President of the Royal Institute of Painters in Watercolour from 1973 to 1979. Aubrey was the author of a number of books including Still life in Pastel , Leisure Art Series No18; Painting with Pastel and a number of collaborations with other writers and artists. When he joined the Wapping Group he was living in Watford but soon after moved to Ewell where he lived for most of his life. Jack Merriott was born on 15th November 1901 in New Cross London to John Boultwood Merriott (Railway ticket collector) and his wife Eleanor and studied art at Croydon School of Art and St Martin's School of Art. On 18th June 1932 he married Hilda May Bridger the daughter of Harry Bridger. Jack painted landscapes and portraits in oil and watercolour. He started work as a shipping clerk in a company exporting heavy machinery to South Africa but soon painted full time for a living. He exhibited at the Royal Academy, Royal Institute of Painters in Watercolour, Royal Institute of Oil Painters, Royal Society of British Artists and Royal West of England Academy. He was elected RI in 1944, PS in 1951, SMA in 1954, ROI in 1959, President of the Wapping Group of Artists from 1947 to 1960, member of the Langham Sketch Club and the St Ives Society of Artists. Bradford City Art Gallery and Sunderland Museum and Art Gallery hold his work. He lived in Shirley in Surrey and Storrington in Sussex before moving to Island House, Polperro in the early 1950's. Jack moved back to Storrington, as travel to his many commitments throughout the UK was difficult from Cornwall. It was in 1968 when he was driving home to Storrington he skidded on black ice and was seriously injured. He never recovered from his injuries, dying later in that year. One of his hobbies was sailing and he also designed and painted posters for British Rail and other tourist agencies throughout the UK. A memorial service was held at "the artist's church", St James in Piccadilly London in 1969. Donald Blake was born in Greenock, Renfrewshire in Scotland on 7th June 1908. At the age of two his parents moved to London. When he was 13 years old he attended the Camberwell School of Arts and Craft. His father funded these studies for 18 months and at the age of 15 he went into a building trade drawing office where he was engaged as an architectural draftsman. During that time he studied 3 nights a week for 10 years at Goldsmiths College and Brixton School of Building. He eventually became the head of this drawing office. He worked on Swimming baths, Pub fronts and Cinemas. In World War II he worked for the Ministry of Information as a War Artist producing propaganda subjects. Posters which he produced in the War are much in demand now. He worked for three evenings per week for the Daily Express producing War Maps and Battle Impressions as well as freelancing in other areas. During this time he began to exhibit at the Royal Academy and other open exhibitions. As a freelance designer after the war he worked for the Aircraft industry, the railway and on road safety campaigns. By the early 1960’s he had earned a considerable reputation as an artist. This picture was in Edward's private collection and was exhibited at his memorial show in Guildford shortly after his death. It is being sold along with the catelogue from that Exhibition. Edward Wesson was a painter in oil but mainly watercolour handling a variety of subjects with an assured wash technique. Born on 29th April 1910 in Blackheath, southeast London, he learned “from reading of the methods of such masters as E W Haslehust and Adrian Hill and by bitter experience”. Edward Wesson spent 20 years perfecting his technique before exhibiting, then he was a prolific exhibitor at the Royal Academy, National Society of Painters, Sculptors and Gravers/Printmakers, Royal Society of British Artists, Royal Institute of Oil Painters, Royal Institute of Painters in Watercolour as well as provincial galleries. He was a member of the Wapping Group of Artists. He contributed to the Leisure Painter and Artist magazines and painted posters for British Rail and the National Savings Bank. He lived locally in Guildford and the Borough hold some of his work. Leslie Arthur Wilcox was known mainly as a painter of marine subjects in oils. He was also a watercolourist, illustrator, poster artist, marine model-maker and author. He was for some years Honorary Secretary of the Royal Society of Marine Artists. His works are in many collections around the world, including the National Maritime Museum, Greenwich, and the Royal Collection. He wrote and illustrated two books on maritime history: Mr Pepys' Navy (1966 G. Bell & Sons Ltd., London) and Anson's Voyage (1969 G. Bell & Sons, Ltd., London). John Stillman is a well known Surrey artist. Born in Carshalton in 1968, he is completely self taught and has been drawing and painting since a very young age. Before becoming a professional artist in 2006, John worked as a book illustrator and then as a graphic artist for over ten years in the advertising industry in London. John's paintings capture the delicacy and beauty of light and atmosphere across a wide range of subjects including landscapes of Surrey and scenes from around the River Thames, which he paints alongside fellow members of the prestigious Wapping Group of Artists, to which he was elected a full member in 2009. John also enjoys capturing the unique atmosphere of events such as a day at the Epsom races, the excitement of fireworks on bonfire night, the thrill of sledging on a cold winters day or the spectacle of a trip to the circus. John has held many successful solo exhibitions and his paintings have featured in group and open exhibitions including The Royal Society of Marine Artists and The Royal Institute of Oil Painters at the Mall Galleries in London. He has also had his paintings exhibited at The Royal Academy Summer Exhibitions. In addition to the Wapping Group, John sits on the council of the Chelsea Art Society and is a member of the Croydon Art Society. His paintings are held in numerous private collections in the United Kingdom, France, the United States of America and Australia. Eric Thorp was born on 27th December 1901 in London. He studied art at the City of London School and the Royal Academy Schools. 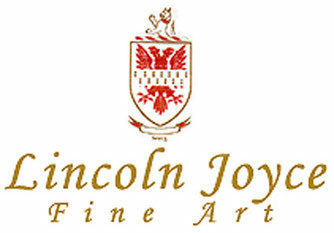 Exhibited at the Royal Academy, Society of Marine Artists, Pastel Society and the Paris Salon. He was elected to the Pastel Society in 1952 and Society of Marine Artists in 1958. He was the President of the Wapping Group of Artists, member of the Langham and London Sketch Club, their President in 1972. He was helped in painting career by his wife , Margery who rented out part of their large Victorian house in Tooting Bec. Eric's father was an artist and model maker who helped Bomber Harris in his war time raids by making models of the German targets. There is a story about a painting he did of Richard Burton and Elizabeth Taylor's yacht which they saw hanging in a gallery, when the overawed gallery owner said the painting was for six and then added hundred , the Burtons left the gallery, had it been thousands, Eric believes he may have had a chance of selling it to them.